If you are looking for a way to reduce your home's energy bills this winter, having your windows outfitted with tinting is a wonderful way to go. Not only will they be able to keep heat inside your home over these next few months, window tinting will also be great in the summer to repel the extreme warmth produced by the sun. Should window tinting be something that you would like to invest in, you should decide on what you will need before getting in touch with a professional, so you have a good idea of what the finished product will look like. Choose a color: Window tinting can come in a variety of colors, but the most common that you see tend to be on the gray scale to provide a neutral tinting for color schemes in the house. You will need to pick a hue that will work best with your own interior design, so the tinting does not stick out. 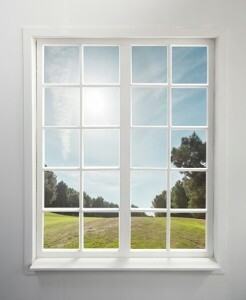 Measure your windows: You should know how much room you have to work with while picking out window tinting. Because window tinting is often sold by the square foot, you will be able to compare prices with installers to have a good idea of how much you will be spending on this project. Meet with professionals: When it comes to picking the window tinting that you will have in your home, you shouldn't rush this decision. Meet with a few different companies to get a sense of what they can offer you and how their product will improve your home. If you are interested in purchasing decorative window film, be sure to schedule an appointment with R&J Tinting today!